The departments of the Navy and Agriculture have moved to combine the U.S. military’s operational fuels with portions of biofuel in an effort to embrace alternatives to diesel. Biofuel will be added to the Defense Department’s jet engine and marine diesel fuel including JP-5 and F-76 drop-in biofuels that will be blended 10 to 50 percent with conventional fuels, USDA said Wednesday. “The Farm-to-Fleet initiative we are announcing today is important to advancing a commercial market for advanced biofuel, which will give us an alternative fuel source and help lessen our dependence on foreign oil,” said Ray Mabus, secretary of the Navy. 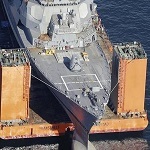 That program is a partnership between the Navy and USDA that began in 2010 when President Barack Obama asked Mabus and Agriculture Secretary Tom Vilsack to seek substitutes for diesel and jet fuel. 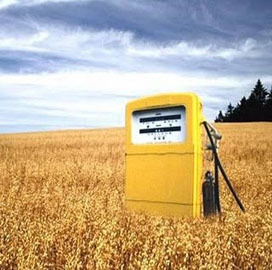 Vilsack said the production of biofuel is also expected to create jobs and help the military save on costs. Funds from USDA’s Commodity Credit Corp. will be used to produce drop-in biofuel, which will be available through regular purchase. A bulk fuels solicitation is scheduled in 2014 and the products are slated for delivery in mid-2015. “A secure, domestically-produced energy source is very important to our national security,” Mabus added.